Trade in the snow for the white sandy beaches this holiday season on Catalina Island. The Island is a truly festive place to enjoy the holidays with many fun activities and events. Enjoy the strolling Victorian Holiday Carolers, pick up your Shop Catalina Treasure Card & month-long Discount Card, then hit the town and shop ‘til you drop! Meet at Wrigley Stage at 5 pm for the Community Tree Lighting and arrival of Santa and his “Helpers”. The Catalina Island Museum will host a special holiday performance and screening of A Christmas Story in the Avalon Casino Theatre. Set in the 1940s, the film follows nine-year-old Ralphie Parker who desperately wants a Red Ryder BB gun for Christmas. Viewing this classic film on the big screen is sure to get everyone in the holiday spirit! Dance in the New Year at this black-tie optional event in the world-famous Casino Ballroom. The celebration includes gourmet buffet dinner, dancing, champagne split to toast the New Year and party favors. Celebrate New Year’s with a Mardi Gras Karaoke Party at El Galleon. The party includes party favors, hats, Mardi Gras beads, glass of champagne, balloon drop at midnight and all the fun of Karaoke with over 20,000 songs to choose from in their song library. What better place to ring in the New Year than Two Harbors. Celebrate the New Year at the Harbor Reef Restaurant for dinner, dancing and a champagne toast at midnight. These are just a few of the many festivities to celebrate the season. 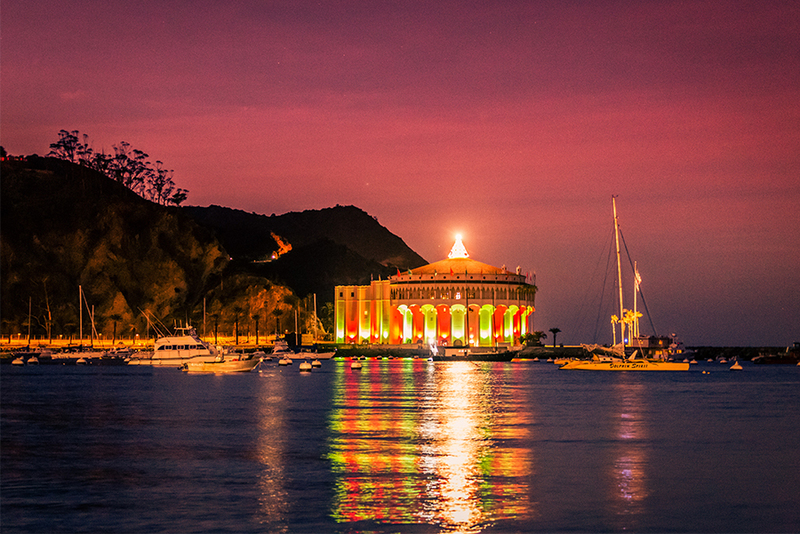 While planning your trip, visit the Catalina Chamber website for a full list of events.